Weather Info (monthly averages) Max Temperature: C / F Min Temperature: C / F The above data in our Weather Info table are temperature predictions for the date of the medical event for Charleston, Usa. THE Francis Marion Hotel The historic Francis Marion Hotel, named for the Revolutionary War hero Francis Marion, the “Swamp Fox,” has a long tradition of gracious service, elegant accommodations, and hosting splendid banquets and events dating back to its opening in 1924. Built by local investors at a cost of $1.5 million from plans by noted New York architect W.L. Stoddard, the Francis Marion was the largest and grandest hotel in the Carolinas. The 1920s was the Golden Age of railroads, radio and grand hotels, and the Charleston Renaissance was in full bloom and the Francis Marion Hotel was “the place to be”. 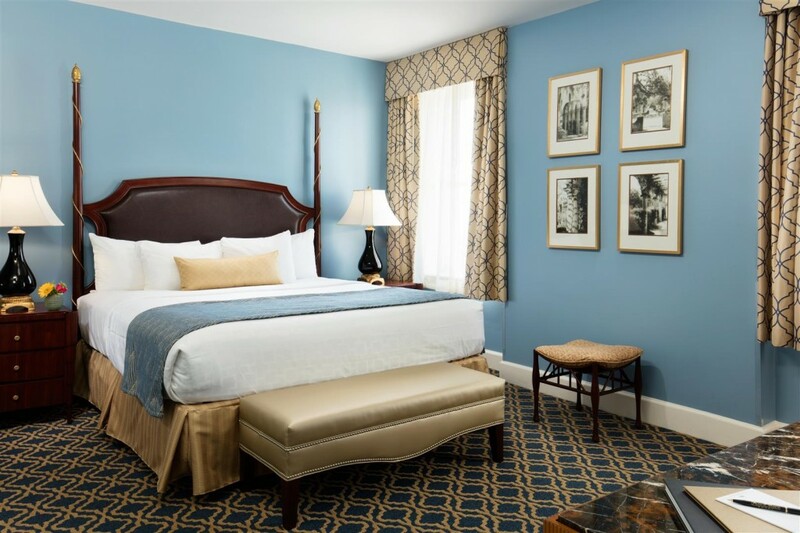 Meticulously restored in 1996 with a $12 million National Trust for Historic Preservation award winning restoration, the Francis Marion Hotel now combines 1920’s style and grace with 21st Century comfort and convenience in the heart of historic Charleston on Marion Square. Rising 12 stories, many of the Hotel’s 235 guestrooms and suites offer spectacular views of Charleston’s historic harbor, church steeples and legendary King Street. The Francis Marion Hotel, with its central downtown location, is an easy walk to the antebellum homes, magnificent gardens, antique shops and boutiques, and world-class restaurants. Step Back in Time Francis Marion Hotel in Charleston has been at the heart of the city’s social, business, and community life since opening in 1924. 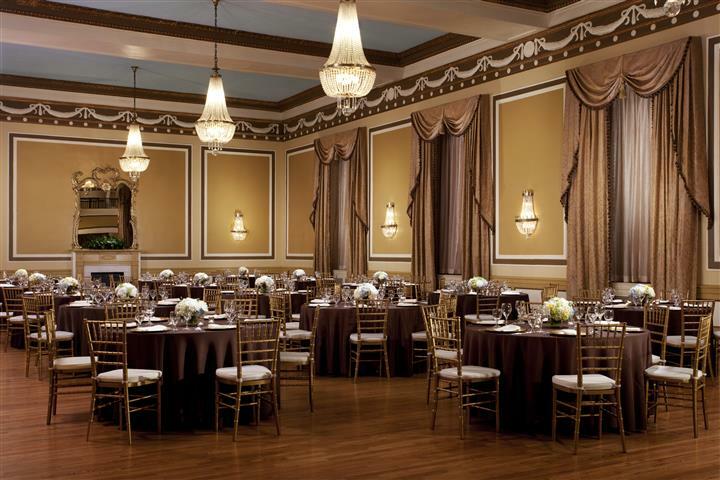 Generations of Charlestonians have marked the important milestones in their lives in our historic ballrooms. 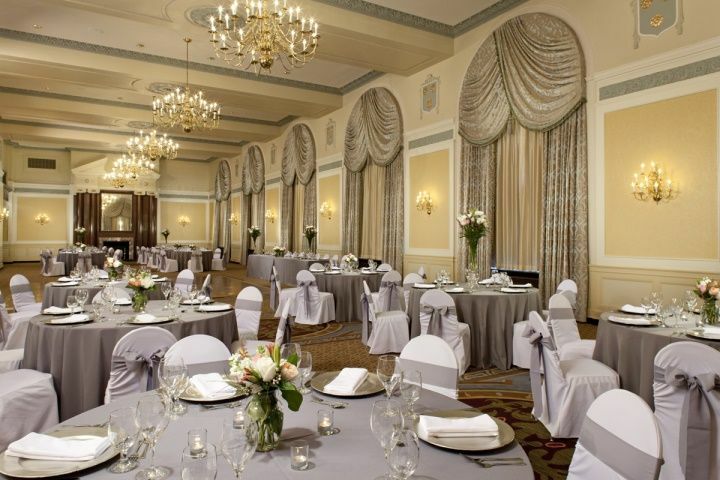 Whether you are planning a wedding reception, fundraiser, awards banquet, or a gala ball, the Francis Marion Hotel ballrooms, with their 24-foot ceilings and antique crystal chandeliers, will create an elegant backdrop for your next event. In addition to our two grand ballrooms, the Francis Marion offers a 4,500-square foot conference center, the Carolina Ballroom, and eight smaller meeting rooms. Our meeting rooms are equipped with high-speed Internet connections and the latest audio-visual equipment provided by our onsite audio-visual company. 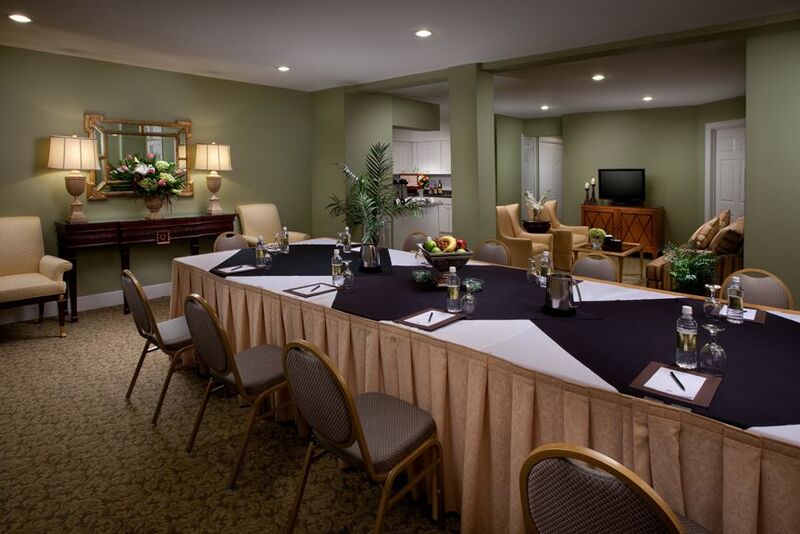 With a total of 19,000 square feet of meeting and banquet space, the Francis Marion Hotel is your ideal choice when planning your next meeting. This activity has been planned and implemented in accordance with the accreditation requirements and policies of the Accreditation Council for Continuing Medical Education (ACCME) through the joint providership of the A. Webb Roberts Center for Continuing Medical Education of Baylor Health Care System, Dallas and Northwest Anesthesia Seminars. The A. Webb Roberts Center for Continuing Medical Education of Baylor Health Care System, Dallas is accredited by the ACCME to provide continuing medical education for physicians. Physician Assistants: AAPA accepts certificates of participation for educational activities certified for AMA PRA Category 1 Credit™ from organizations accredited by ACCME or a recognized state medical society. Physician assistants may receive a maximum of 20 hours of Category 1 credit for completing this program. Certified Registered Nurse Anesthetists: This program has been prior approved by the AANA for 20 CEC; AANA Code #1031847; Expiration date 2/21/2016. Registered Nurses: NWAS is approved by the California Board of Nursing, Provider Number 04833 and Florida and Washington, DC Boards of Nursing, Provider Number 50-7480. This program offers 20 contact hours. Meets the requirements of the Pennsylvania Board of Nursing, Rules and Regulations §21.133. The Francis Marion Hotel, located in the heart of historic Charleston, was the largest and grandest in the Carolinas when it opened in 1924. 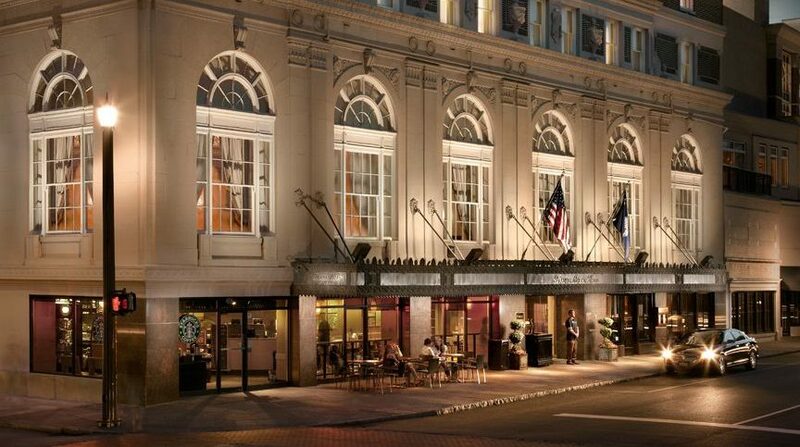 Named for General Francis Marion, the “Swamp Fox” of the American Revolution, the Francis Marion Hotel re-opened in 1996 after a $12 million National Trust award-winning restoration. Guests at the Francis Marion Hotel can enjoy classic Southern cuisine for breakfast, lunch, and dinner in the Swamp Fox Restaurant, cocktails and jazz piano music in the Swamp Fox bar, complete spa services at Spa Adagio, and gourmet coffee from Starbucks. Guest rooms feature marble bathrooms, upscale Spa bath products and luxurious bedding, wireless internet access and more.